Since 1984, The Wicker Express has been committed to providing a flower and gift delivery service which combines good taste, value for money and reliable service. Today, although we have grown to be one of the largest independent florists in Hong Kong, every flower arrangement and gift basket still receives the utmost care and attention from our staff. We consider our flower arrangements and gift baskets to be our customers' ambassadors of goodwill. Our mission is to give genuine and lasting pleasure to that special person who receives a The Wicker Express flower arrangement or gift basket. The "natural" look has been the mainstay of our design philosophy since our inception. We believe that the natural beauty of the freshest and most beautiful flowers in the world can best be highlighted by more subtle arrangements and simpler packaging. The flower content of our arrangements (the value of flowers in each arrangement calculated as a percentage of the retail price) is one of the highest, if not the highest, in Hong Kong to provide better value for money. All the flower arrangements in this Website have been designed by our florists, many of whom have been trained in the best floral schools in London and Paris. We have a substantial library of flower reference books which serves as handy resources for our customers and staff . 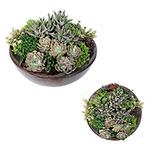 We take great pride in the originality of our arrangements which integrates both the East & the West. Every flower arrangement is signed by the florist who made the arrangement because they take personal pride in their work. In fact, the smallest bouquet and the largest function receive the utmost care and attention of our floral design team and our Customer Service staff. We have substantial knowledge about cut flowers and consider ourselves as a moving force in the industry as we look for new and better ways to give our customers more choices and better value. We use only the best grade of flowers in our flower arrangements because there are more varieties and they provide a longer vase-life. An analogy that we like to use is that if you are paying for the workmanship of a fine tailor, he should be provided with the finest fabric to work with. The operating cost structure of the flower industry in Hong Kong (and the inherent fixed cost of importing flowers from overseas) is that by paying a little bit more for the best grade of flowers, you get much much more value for your money. We have air shipments of flowers coming from Holland and New Zealand 3-4 times each week so our flowers are the freshest in Hong Kong. We have direct access to over 600 species of the freshest flowers available in the Dutch flower auction in Aalsmeer, Holland and New Zealand. 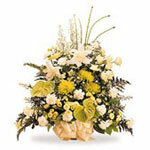 We can also source flowers through local wholesalers. Direct buying from overseas means our flower costs can be 20%-40% lower than buying through intermediaries. We pass these savings to you so you get more flowers !!! Many of our baskets, containers and packaging materials are exclusive designs imported directly from Europe, the US and elsewhere in Asia. For this reason, we can provide you with unique designs at a reasonable price. We also offer a selection of baby baskets, fruit baskets, wine baskets and food hampers for every special occasions. We provide the best value for money because we enjoy economies of scale not enjoyed by smaller flower shops because we buy our flowers and our accessories direct from overseas suppliers. We offer prompt and reliable delivery service to any office or home address in Hong Kong and Kowloon. As we operate our own fleet of delivery vans we have complete control over their delivery schedules. We can design special flower or gift arrangements for your company incorporating your company logo and colours. We believe that corporate flower and gift arrangements are important public relations communication vehicles between you and your clients. We can provide flower arrangements for your office on a weekly basis, venue decoration for exhibitions and promotional packaging/delivery service for your product launches. In total, we have over 9,000 sq feet of workspace and warehouse capacity so that we can handle even the largest jobs. Our "Petals of Quality" quality control system is unique in the industry. Every customer will receive a colour photograph of the arrangement identified with your invoice number together with a feedback form. The recipient also receives a similar feedback form* which is tabulated on a weekly basis and 99% of the feedback are positive. *Photograph and recipient feedback form are not available for overseas Interflora orders.